March 1959 - Oh Boy! A crucial showcase for Jack Good - as this was the first of 13 shows to be telerecorded for broadcast on ABC in the United States later in the year. On the requests of U.S. ABC television executives back in January, Jack had attempted to secure some big American names in seven short weeks to star in this first American broadcast of 7th March, but there was insufficient due to many major artists prior commitments. Jack had more success in the latter shows, when he netted big names like The Inkspots, 'Little Miss Dynamite’ Brenda Lee and Conway Twitty for broadcasts in April and May. Denied access to American artists, Good marshalled the cream of British talent such as Cliff Richard and the Drifters, Marion Ryan and Marty Wilde to appear in this milestone broadcast. His intention was to make a big impact on the fresh American audiences by getting the best of the English rockers to perform their major hits in a fast paced action packed show. A number of these American telerecordings are known to survive in private hands in the United States, including "Move It" among others, to introduce them to this huge new overseas audience. Time to clinch any deals for the first few weeks his first show, in which it is believed Cliff and the Drifters performed. If ever found this will become the earliest Cliff and the Drifters performance ever discovered on celluloid. To promote the series and ensure maximum publicity and exposure in the United States many photographs from this show were taken and sent out to the media in the USA. Jack was a keen follower of true American rock ‘n’ roll and he was quick off the draw in flying to the USA again in early May to secure some big name artists for the new series of “Oh Boy!” envisaged to begin in mid September 1959. However when the new series did return its name was changed to “Boy Meets Girl” . More noticeably and to its detriment the genuine atmosphere of excitement was lost as the cast had to move from the live Hackney Empire to the sedate and reserved setting of Manchester’s ABC studios in Didsbury. Reviews of the new series said it had lost the excitement and edge so characteristic of the live “Oh Boy!" shows! “Where Have The Shows Gone?” page and the NME article “JACK GOOD SEEKS AMERICAN ROCKERS” from 23RD JANUARY in the JANUARY 1959 DIARIES for more details of the American “Oh Boy!" broadcasts. This is the second show of 13 recorded for export to the United States. 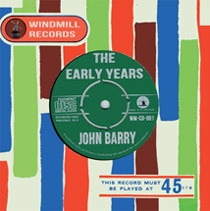 It is probable that this original telerecording, once catalogued with ABC at Teddington, Middlesex until 1968, may be in the private hands of someone in the United Kingdom. Newcomer Chris Andrews makes his debut appearance. He would also appear in show 30 (4th April 1959) singing a cover of Cliff Richard’s “Move It.” This 4th April edition is the first surviving show of two found in a search of the British archives. Terry and Freddy (Adam Faith and Freddy Lloyd) make their one and only appearance in the series. CLIFF RICHARD has secured a starring role in the screen version of "Expresso Bongo." Cliff edges out Marty Wilde, who was also considered for the leading part of Bongo Herbert. Instead, Marty has a new screen role lined up in another big feature film - "Paradise for Baby." The screen version of "Expresso Bongo" will greatly differ from the successful stage satire. Producer Val Guest told the NME: "A complete new score is being written and will incorporate only three of the original numbers." Cliff's own famous accompanying group, The Drifters, join him in the film. A number of other big beat personalities, not yet chosen, will also be featured. Before making a final decision between the two rock singers, producer Guest saw both Cliff's film " Serious Charge," now awaiting release, and rushes of Marty's current picture, "Jetstream," which is still in production. "I chose Cliff because I saw him as the most likely of the two to fit the part," Guest said. "I thought they were both excellent on the screen." "Expresso Bongo" filming is expected to begin on location in Soho on August 10, followed by interior shooting at Shepperton Studios. No contracts have actually been signed yet, but Peter Sellers and Diane Cilento are expected to co-star with Cliff. Marty Wilde is to star in "Paradise for Baby" for Hughie Green Productions. Shooting is set to begin on June 1. This film is about rival dance halls and has been under discussion for many months. Now both terms and script have been approved by Marty's agent, Larry Parnes. Tomorrow (Saturday) a final script conference is to be held. It is expected that other top name signings will be announced next week. This is the third show of 13 recorded for export to the United States. It is probable that this original telerecording, once catalogued with ABC at Teddington, Middlesex until 1968, may be in the private hands of someone in the United Kingdom. Cuddly Dudley returns for his 15th appearance in the series. His beaming smile and exuberant dancing made him an all-time favourite with “Oh Boy!” viewers. In total he would make 19 appearances (just one less than Cliff!) in addition to the two trial broadcasts back in June 1958. Gerry Dorsey (Engelbert Humperdink) returns for his second and final time. He had first appeared on the 21st February edition. This is the fourth show of 13 recorded for export to the United States. The original telerecording, once catalogued with ABC at Teddington, Middlesex until 1968, is in the private hands of someone in the United Kingdom, and is currently being restored, hopefully for eventual release. The Marino Marini Quartet make their one and only appearance. Pierce Rodgers makes the first of four guest appearances in the series. Crooner Ronnie Carroll, who had appeared in the first six shows of the series during September and October 1958, makes a final return visit for tonight’s show. This is Cliff Richard and the Drifters last appearance for five weeks, not returning until 2nd May.